Denise Dyer’s metal flowers, butterflies, reptiles and other creatures have added whimsy to homes and gardens throughout North Texas. She makes her work by hand, and is inspired by nature to create her three dimensional pieces. In the questions below she explains more about her passion for her work. Pick up something for your yard when you meet Denise June 15 at Magnolia Green. I love the fact that I make metal and art collide. 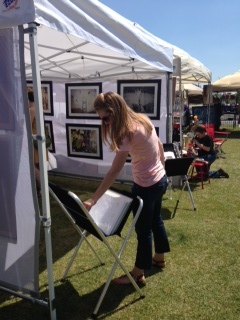 I love to make the unexpected so when art lovers walk up to my booth, they instantly smile! That’s the best thing about what I do! I love the fact that it is a reoccurring event every month, and I love the quality of vendors that are involved. If you re-purpose items, what’s the most unique thing you’ve ever re-purposed. I have taken old brass container pots and turned them into sunflowers. Totally outside the box. Just need to find more old containers! 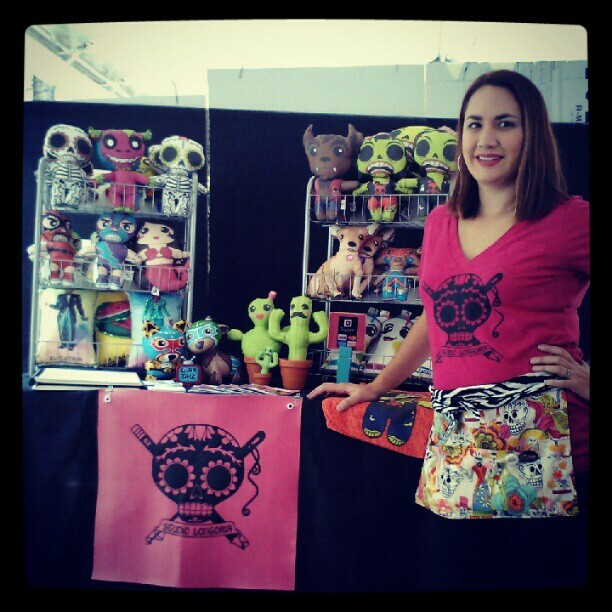 Stephanie Longoria is a mother, graphic designer, artist and the founder of Studio Longoria. She uses her design skills to create latin-inspired plushies and toys, and hopes that one day her characters will be known world-wide. Learn more about her craft from her responses to the questions below, and then see her June 15 at the Market! I love being able to bring my characters to life by making them into plushies. 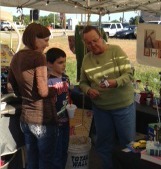 I love the Pop-Up Market because I get to interact with my customers. I love seeing their reactions to my artwork. I love custom requests. I had an actual Luchador (masked wrestler) ask for a custom plushie that looked like him. 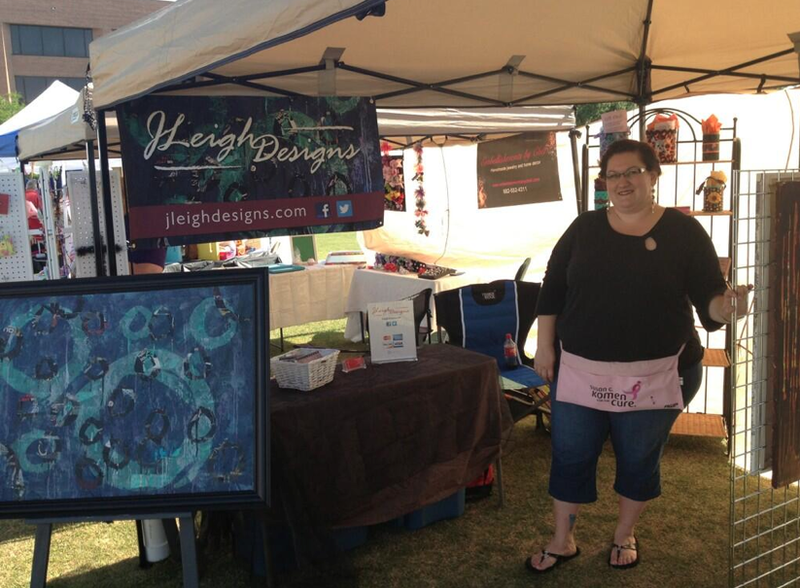 Jessica Salinas of JLeigh Designs creates clever mixed media pieces. She frequentl y uses different textures and materials to create her work. Each piece is a handcrafted original. She explains more about her work in her own words. There are so many things that inspire me, that’s why my art is pretty diverse and even eclectic. Often I am inspired by the details, rather than the object as a whole. I will stop and take pictures of random textures that I see and I have even started tweeting (@jleighdesigns) them on a regular basis, almost daily. I have directly incorporated these pictures into a couple of pieces. There are two things that I love the most about what I do. One is encouraging people to open their eyes and look at things from a different point of view or, “stop and smell the roses”. 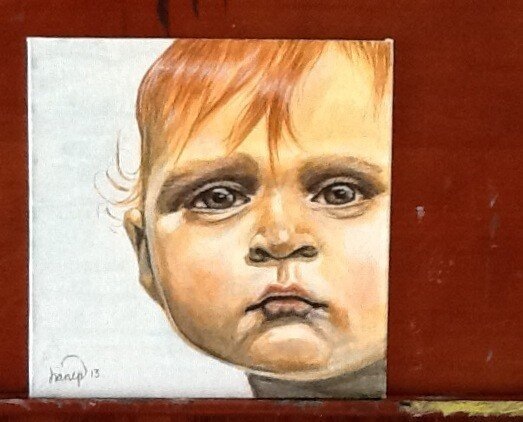 The other is inspiring children to get creative and then maintain their creativity as they get older. – What’s the best part about selling at Pop-Up Market? I love getting to meet so many interesting people. Like at the first Pop-Up Market in April, I had a wonderful conversation with a couple. 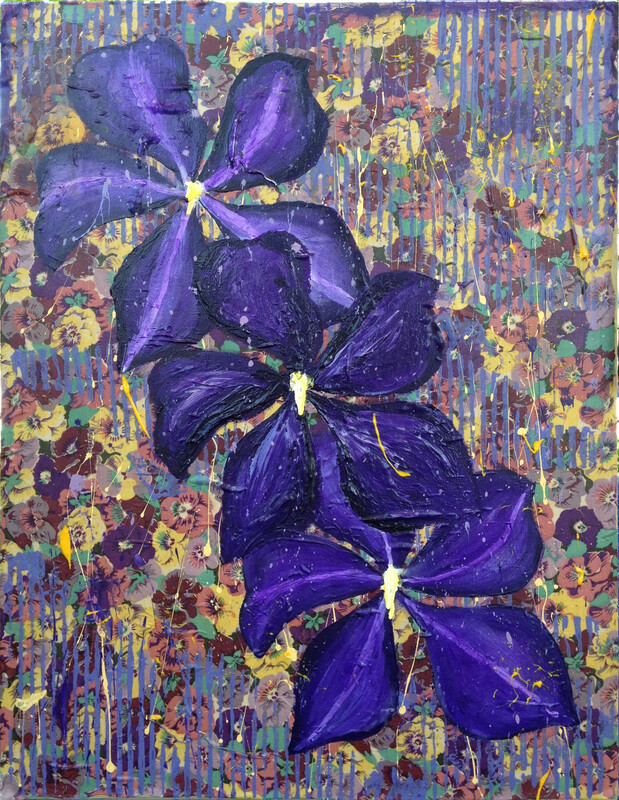 I learned more about one of the flowers that I happened to depict in one of my paintings. It just added even more to my experience and to my artwork. – What’s the most unique thing you’ve ever re-purposed. Probably the most interesting item was a plate that went to an old meat grinder that belonged to my grandmother. Complete with real rust, not painted or chemically induced rust, it fit perfectly into a steam punk inspired piece I created called Time Travel. Diane Corral lives in Texas, but is originally from Canada. Her drawings are inspired by everyday activities. A coffee stain on the kitchen counter, or freshly cut grass will have her reaching for sketch pad. She describes the feel of her booth as Paris meets Texas. 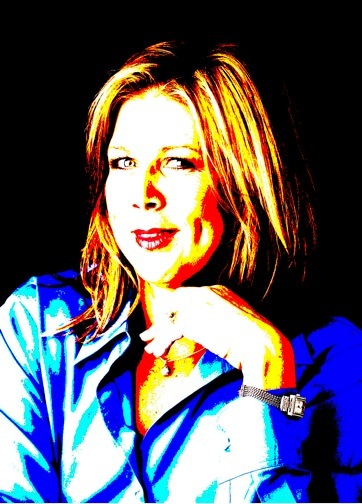 Meet Diane when you visit the Market on June 15. She explains more about her work in her responses to the questions below. Sometimes I get creatively spent and hit that wall where I’m unable to continue. I usually read or stand away from my studio for a few days until it beckons me back. And it always does . When I’m asked to do commissioned portraits or artwork or custom pieces, that’s when I’m truly grateful and reminded that the little things still matter. The fact that you are with other vendors who love their craft just as much as you do yours. Linda and Rocky Kinnaird are in the transformation business. 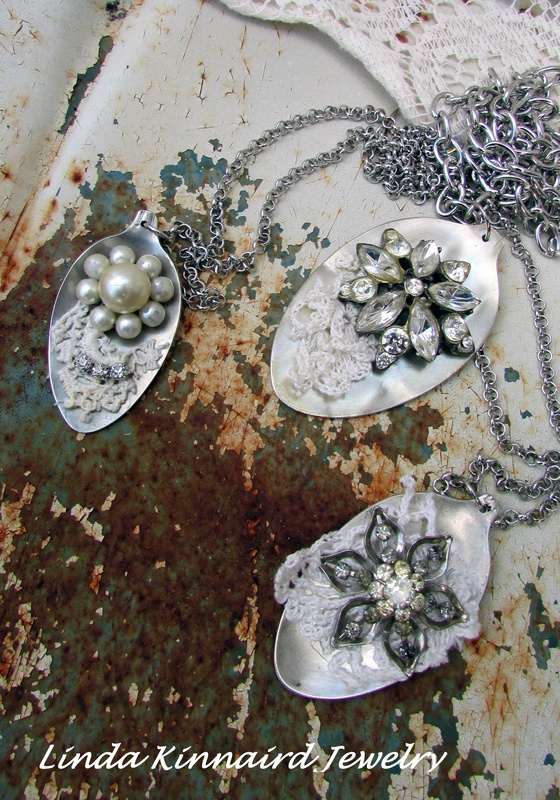 Together they shape, hammer, crimp, and shine discarded silverware to create clever jewelry pieces. “Rocky does the hard part – flattening the silverware, cutting it up, and smoothing the edges. I get to have my fun by adding the costume jewelry, little bits of this and that,” Linda said. 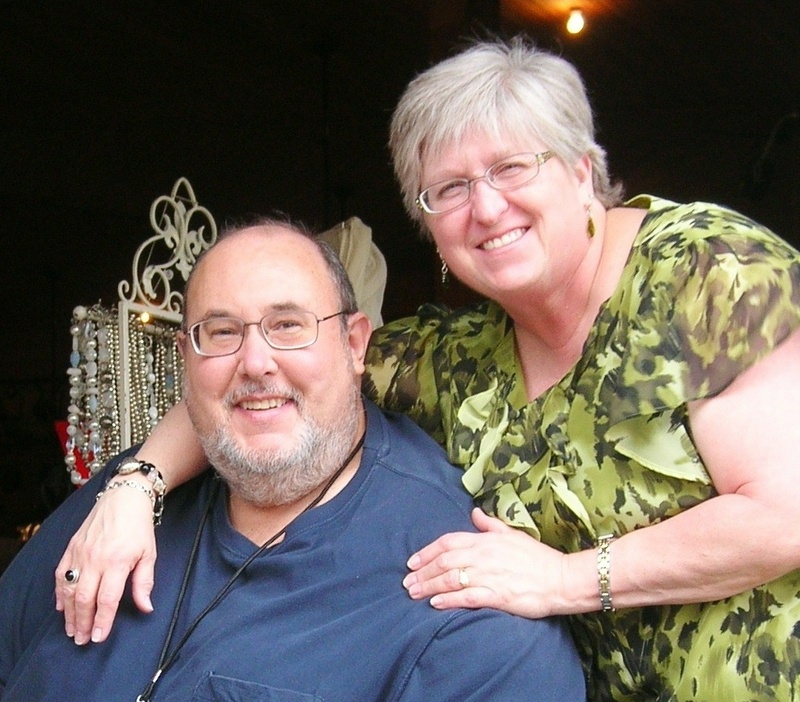 Before you visit Linda and Rocky June 15 at Pop-Up Market, learn more about them and their work by reading their responses to the questions below. Finding wonderful old costume jewelry like our grandmas wore really inspires me. Anything rusty or chippy also usually also catches my eye and gets the old creative juices flowing. Keys, you must have keys! The best thing about what I do is that this gives my husband, Rocky, and I a chance to be a creative team and to do something together. We love having the opportunity to be a part of this outdoor market. The Magnolia Green location is the perfect setting for a casual day of shopping for unique handmade items, enjoying the outdoors, and food trucks of course! -Originally, my shop was named The Beaded Heart. I just wanted to make earrings. When I picked up a hammer and a butane torch to work with metal I figured I’d best change my shop name to Linda Kinnaird Jewelry. We’re evolving over this summer to yet another phase of creativity. TaterBugg Designs which will allow me to put my sewing machine to work, and will allow us to continue with our mission to create repurposed silverware jewelry and other vintage finds. Fort Worth’s Near Southside features artists of various kinds. Each month you’ll find something different from the month before. Take this opportunity to support local artists, and learn more about how they create their craft. You’ll see that Pop-Up Market features a variety of handmade goods from beautifully crafted glass center pieces, to jewelry, fiber, metal, mixed media, paint and so much more. Admission and parking are free, so load up the car and bring the kids. Pack a blanket and chairs so you can spread out on the lawn and enjoy lunch from one of our food trucks. Mark your calendar – 10 a.m. – 6 p.m. Saturday, June 15 at the lovely Magnolia Green! Bring mom to Pop-Up Market on Saturday, May 11, between 10 a.m. – 6 p.m., and buy her that one of-a-kind gift she deserves! 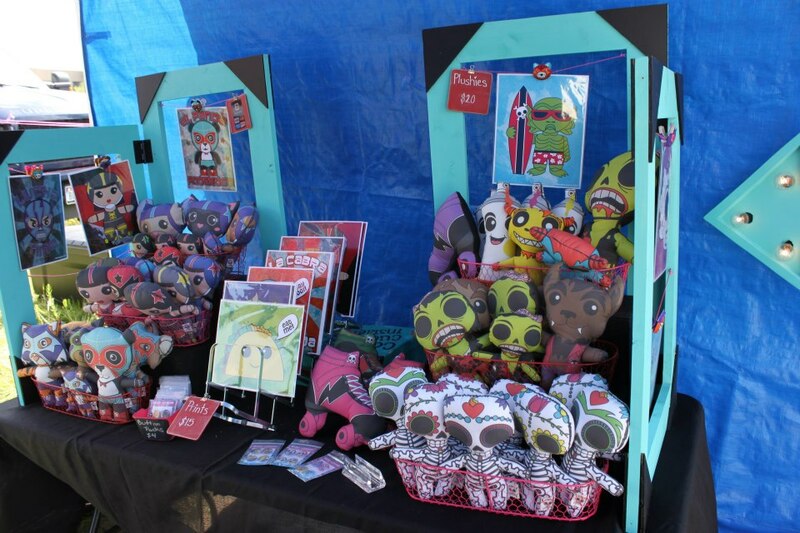 Our artists sell only handmade items and vintage collectibles. Pop-Up Market is large enough to have a variety of unique gifts, but still small enough to be fun for all ages. You’ll find art in all mediums: cera mic, glass, jewelry, metal, paint, etc. Plus, check out some amazing hard to find vintage clothes, purses, sunglasses, and household wares. Bring a blanket and spread out on the lawn to listen to musicians play acoustic family friendly songs. Be sure to stay for lunch – we’ll have a local food truck parked nearby! Admission is free, but we’re collecting boxes of cereal for Ronald McDonald House of Fort Worth. Your donation goes to support families with sick children.